For every floor tiling project you need, you can count on the professionalism and performance of our tiling team. Whether your project requires ceramic tiling, vinyl, marble, porcelain, granite or kitchen backsplash, our team of dedicated tile floor installers are ready to take over the project. Over 10+ years of experience in flooring/tiling, installation, maintenance. We deliver quality of service, expertise and outstanding professionalism. A dedicated team member will go through the floor tiling project requirements, explain the work order in details and provide you an estimated amount and time for in order to deliver the best results on your tiling project. 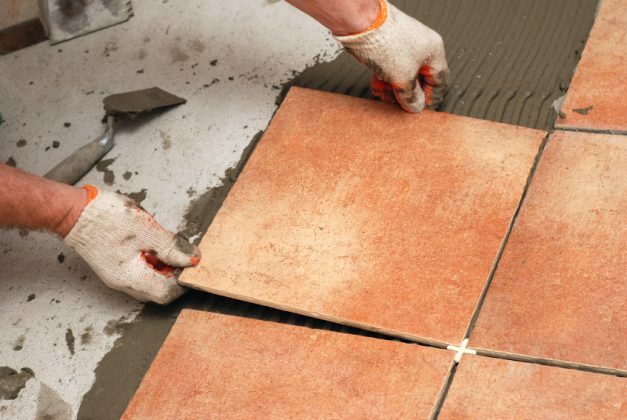 Our team of professional tiling installers will start with the work preparations and get everything ready for installing, laying down the tiles of your choice. As we do with all the services we provide, a member of our team will go through the work order once again and perform the necessary inspections after the work is completed to make sure that everything has been done based on the requirements and project notes and you, our customer, are satisfied with the service and quality.